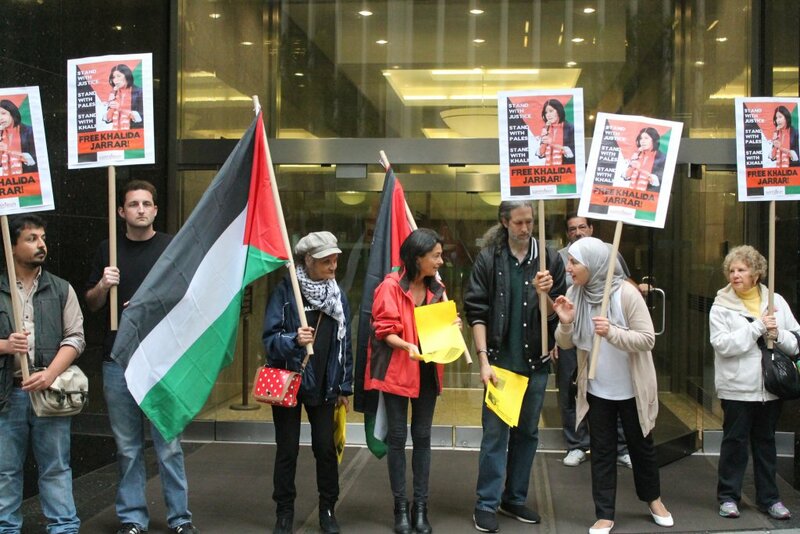 Samidoun Palestinian Prisoner Solidarity Network organized a New York City demonstration outside the offices of the “Friends of the IDF” on Saturday, 23 June. 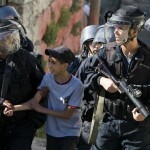 The protesters distributed flyers and carried signs demanding freedom for imprisoned Palestinian leader Khalida Jarrar. 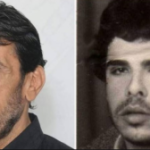 Jarrar has been imprisoned without charge or trial for nearly a year under “administrative detention,” and a new detention order was issued by the Israeli occupation military on 14 June. An Israeli military court is scheduled to approve the order for four more months of imprisonment without charge or trial on 2 July. The protesters briefly blocked the door to the FIDF office, shutting down access to the organization that seeks out donations from an array of American celebrities and Zionist supporters to fund the occupation army of war criminals that regularly attacks, kills and injures Palestinians. Among other activities, “Friends of the IDF” funds “lone soldiers,” people who leave their own home countries to travel to occupied Palestine in order to serve as foreign fighters in the Israeli occupation army. The participants chanted against FIDF as a fundraiser for war crimes, racism, occupation and apartheid, and distributed leaflets providing information about Khalida Jarrar’s case and encouraging people to take action. They also had something to celebrate at the protest – Bud Korotzer, dedicated photographer, activist and maintainer of the Desertpeace blog with his wife Fran, marked his 86th birthday by joining the demonstration for Jarrar’s release. 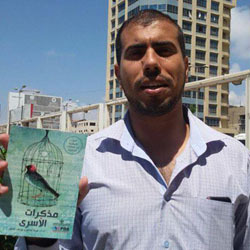 Joe Catron, the U.S. coordinator of Samidoun, emphasized the importance of building solidarity and international struggle for Jarrar’s release from administrative detention. “Khalida’s decades of solidarity with Palestinian political prisoners and the prisoners’ movement inspire all of us supporting the same struggle. Her administrative detention by Israeli occupation forces is a clear effort to impede her work, particularly her role in efforts to hold Israel accountable at the International Criminal Court for its crimes against Palestinians,” said Catron. 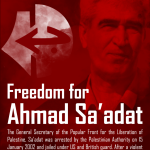 “As we continue to mobilize in solidarity with the Great March of Return, we can’t forget the urgency of fighting to free Khalida, other administrative detainees, and all Palestinian political prisoners interned by Israel for their leadership in the struggle for the liberation of Palestine,” he concluded. Jarrar is a leftist, feminist Palestinian parliamentarian with the Abu Ali Mustafa Bloc, aligned with the leftist Popular Front for the Liberation of Palestine. 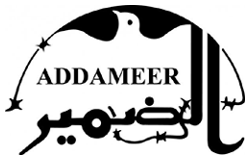 She also serves as Vice-Chair of the Addameer Prisoner Support and Human Rights Association and is a longtime advocate for Palestinian prisoners’ freedom. She is also a member of a PLC commission charged with raising Israeli war crimes and attacks on Palestinian rights to the International Criminal Court. As a prominent leader of the Palestinian struggle, Jarrar has been attacked and arrested on multiple occasions by occupation forces. Indeed, her arrest in July 2017 came just one year after she was released after 14 months in Israeli prison. Originally, upon that arrest in April 2015, she was also ordered to administrative detention without charge or trial; following an international outcry, she was then tried in an Israeli military court on 12 charges based entirely on political activities like giving speeches and attending events in support of Palestinian prisoners. That arrest itself came nine months after Jarrar defeated an attempt to forcibly displace her from el-Bireh to Jericho under a military order; she set up a permanent protest tent and sit-in at the PLC headquarters throughout the struggle. Inside Israeli prisons, she is known for her leading role, including the educational support that she provides to the minor girls imprisoned with her at HaSharon prison. Jarrar led the women prisoners’ efforts to continue the girls’ education behind bars, even when a promised teacher was denied for three months to the minor girls by the Israeli occupation prison administration. She is also a participant, with the other nearly 500 Palestinian administrative detainees (out of a total of approximately 6,200 Palestinian prisoners), in a boycott of the Israeli military courts. The boycott, ongoing since 15 February, aims to highlight and expose the sham role played by the military courts in administrative detention orders and renewals. 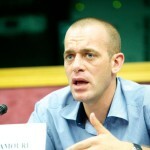 The detainees, unified in their boycott, are demanding an end to the policy and practice of administrative detention. Administrative detention was first introduced to Palestine by the British colonial mandate and has been a significant weapon of the Zionist colonial occupier since its occupation of Palestine. Palestinians can be jailed for up to six months at a time under a military order on the basis of alleged secret evidence with no charge and no trial. These orders are indefinitely renewable, and Palestinians have spent years on end inside Israeli prisons under repeatedly renewed administrative detention orders. Samidoun organizers in New York and internationally will be working to organize further actions to free Jarrar and her fellow Palestinian prisoners.